Former England captain David Beckham has been chosen as the winner of the UEFA President's Award for 2018. The 43-year-old has been recognised for his contribution to football and his "tireless humanitarian efforts". He will receive the trophy in Monaco later in the year. "The President's Award recognises outstanding achievements, professional excellence and exemplary personal qualities," said UEFA president Aleksander Ceferin. "I have chosen David Beckham as the recipient of this year's award because he has been a global ambassador for football, promoting the game and all its values in every corner of the planet. "His tireless humanitarian efforts, which have helped the lives of many children around the world, should also be celebrated. Beckham is a true football icon of his generation." Beckham described it as an "honour" to receive the prize, which was given to former Roma captain Francesco Totti in 2017. "During my career I always gave 100 per cent and tried to uphold the values of teamwork and fair play and I am proud to join the illustrious list of players who have previously won this award," said the Manchester United great. "A global ambassador for football whose humanitarian efforts helped children around the world"
"Many of the unforgettable moments I had on the pitch came in the Champions League, such as that magic night in Barcelona in 1999 when we beat Bayern Munich in such dramatic fashion. 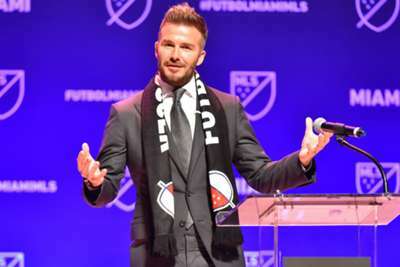 Beckham won six Premier League titles and the famous treble of 1998-99 during a glittering United career, before winning further league honours with Real Madrid and Paris Saint-Germain and two MLS Cups with LA Galaxy. He played at three World Cups and two European Championships for England, winning 115 caps, a total bettered only by Wayne Rooney and Peter Shilton. Off the pitch, he has worked with charity UNICEF to help disadvantaged children across the world. "My career in football allowed me to actively participate in helping to improve the lives of numerous children across the globe in cooperation with UNICEF and it gives me great pleasure that I am able to give something back to society," he said. "When people believe in you, you believe in yourself. By giving children, especially girls, the support they need, my 7 Fund is helping them realise their potential." Other past winners of the award include Bobby Robson, Paolo Maldini, Alfredo Di Stefano, Eusebio and Johan Cruyff. 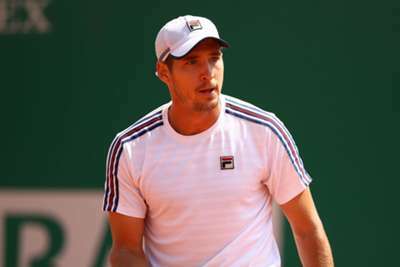 Daniil Medvedev beat Novak Djokovic on Friday but succumbed to a straight-sets defeat against Dusan Lajovic in the semi-finals.